Showing gratitude to Allah on the birth of the Holy Prophet ﷺ is an essential part of faith. A sincere Muslim will never refuse to express happiness on the Prophet’s ﷺ birth, as he understands that by doing so he is mindful of Allah for this blessing. Refusing to show happiness on the Prophet’s ﷺ birth is to disregard Allah’s blessing, and to do so while claiming to love him ﷺ is nothing short of hypocrisy. The expression of happiness and gratitude felt by the Umma for this blessing manifested itself as an act of commemoration, which marked the 12th of Rabī¸ al-Awwal as the day of the Prophet’s ﷺ birth. This act of commemoration spread far and wide across the Muslim world, and it was unanimously accepted by the eminent authorities of Islam. 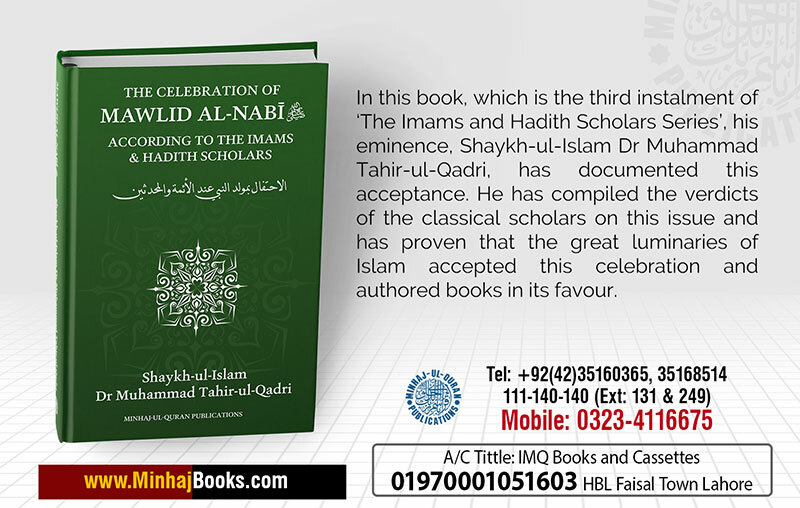 In this book, which is the third instalment of ‘The Imams and Hadith Scholars Series’, his eminence, Shaykh-ul-Islam Dr Muhammad Tahir-ul-Qadri, has documented this acceptance. He has compiled the verdicts of the classical scholars on this issue and has proven that the great luminaries of Islam accepted this celebration and authored books in its favour. The Imams and Hadith Scholars Series is an original contribution to the Islamic literary corpus; it draws upon the mainstream, orthodox understanding of Sunni Islam, showing the continuity and consistency of the scholarly verdicts issued by its eminent authorities. 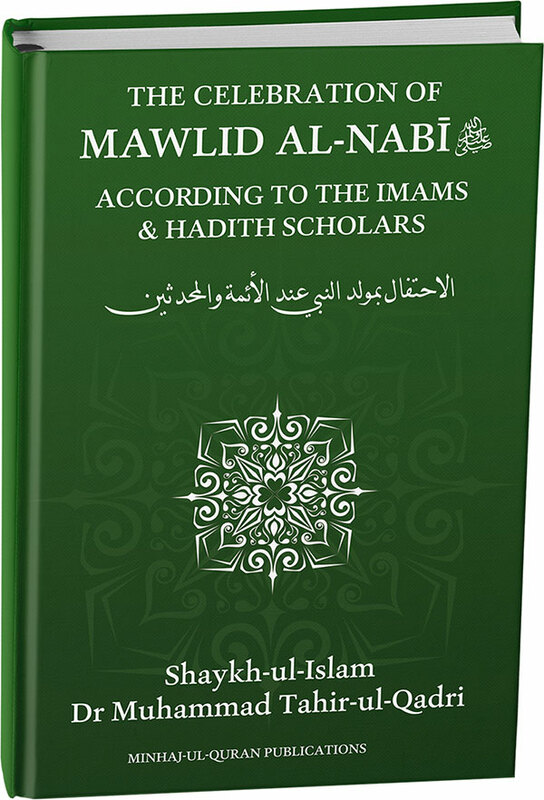 This series deals with disputed matters that have become fault lines of contention in the contemporary age, such as bid`a, tawassul and Mawlid al-Nabī ﷺ. By taking the verdicts of the Imams and Hadith Scholars chronologically, the series allows one to look at these issues from an historical angle and thus trace the development of the consensus held by the scholars. In this way, this series is an important facilitator for the earnest seeker to determine where the truth lays. The significance of these books, therefore, cannot be overstated. Through the sincerity of this endeavour, we pray to Allah that the vociferous sectarianism that has blighted Muslim unity in our age can be curtailed, and some semblance of unity can be achieved.